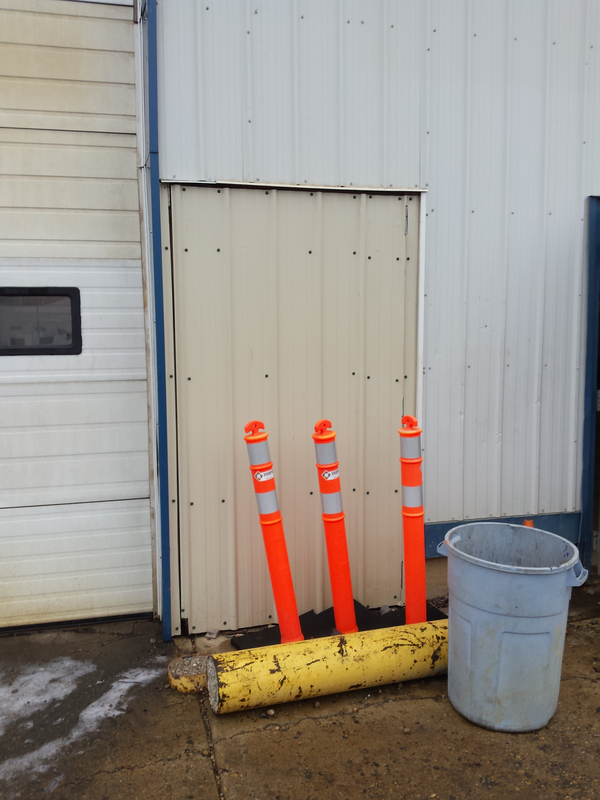 Burgoyne Construction Ltd. | Some of the jobs we have completed. Some of the jobs we completed ! 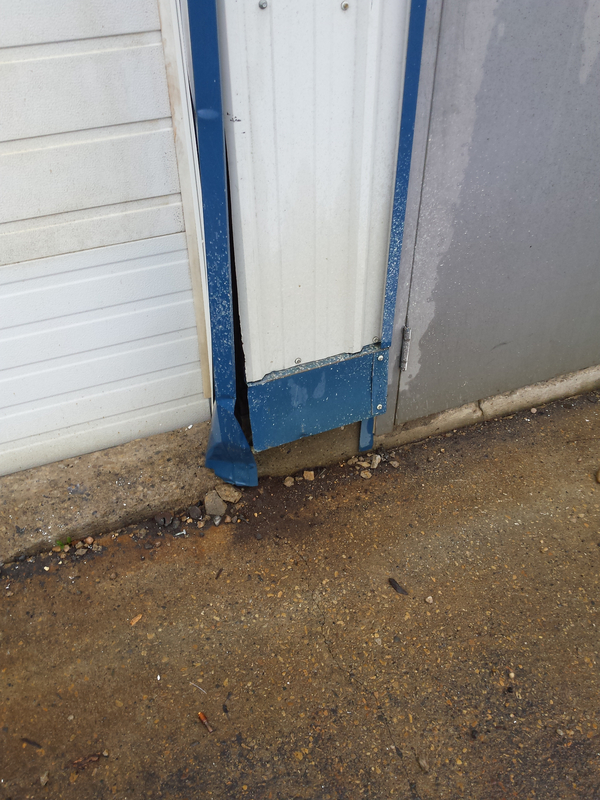 This is a large shop that required some repairs before the renter handed it back to the owner. 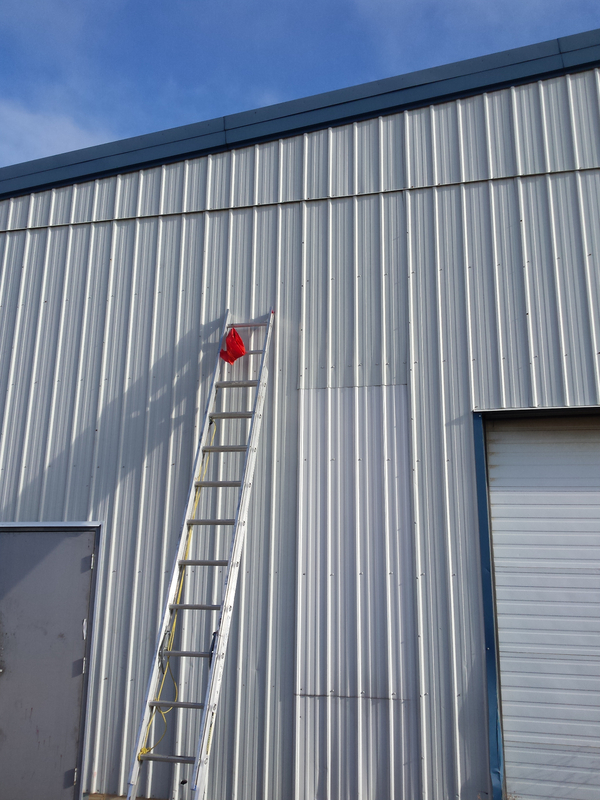 The work entailed doing some concrete repair, framing in some new wall areas, insulation repair and new install, ordered new exterior wall trim and installing it, removed some of the exterior steel siding and installed new sheets of siding, closed in some of the holes in the building that they needed for their business, repaired some of the steel siding on the outside of the building where bumps happened, and repaired a couple of the outside doors in the building. 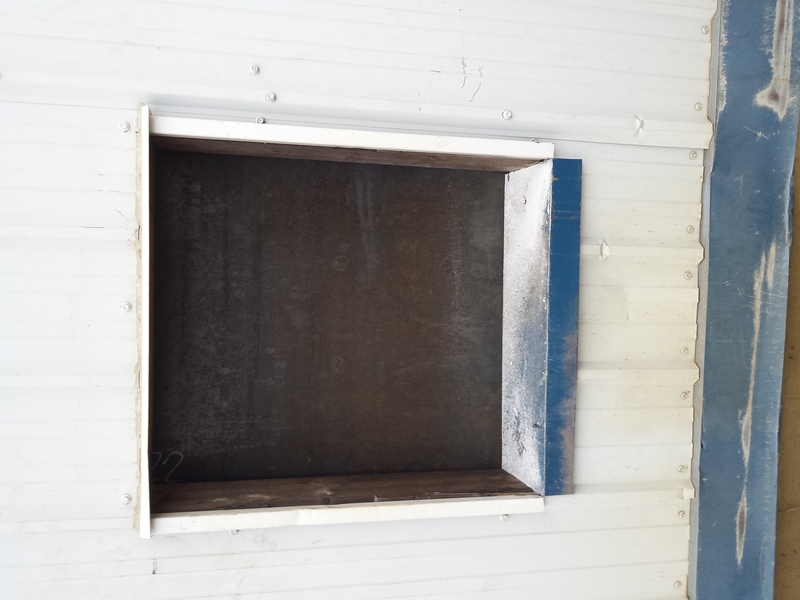 The client was happy with the end product and so was the building owner. 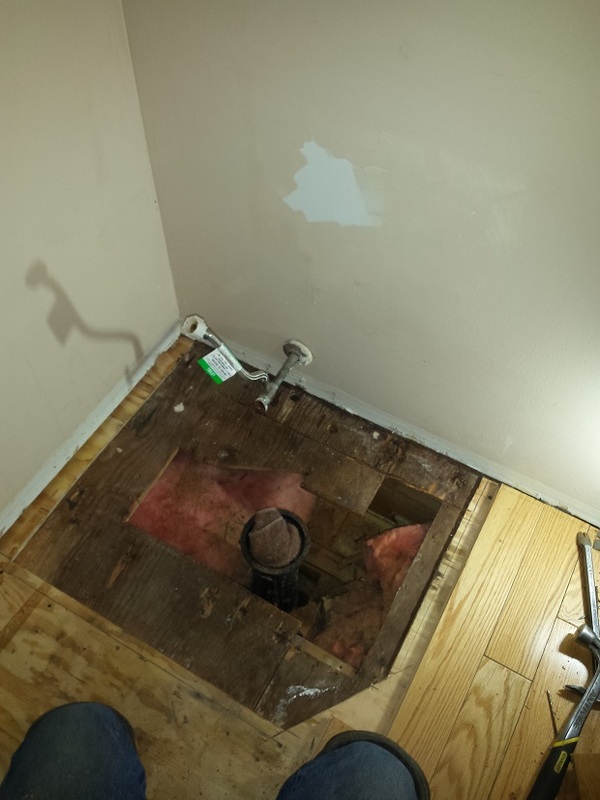 We do everything from Bathroom repairs to all kinds of home renovations. This is one of our regular clients. They call us when something goes wrong with their house or they just want something updated. 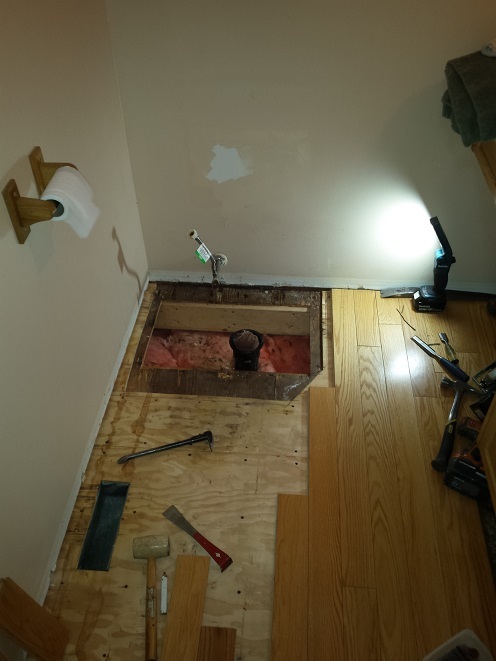 This time they called us because they found the hardwood flooring in the master bathroom was getting damp. Upon us doing a further investigation, we found the supply line to the toilet was leaking. In the basement we found the ceiling starting to change colors from the water. 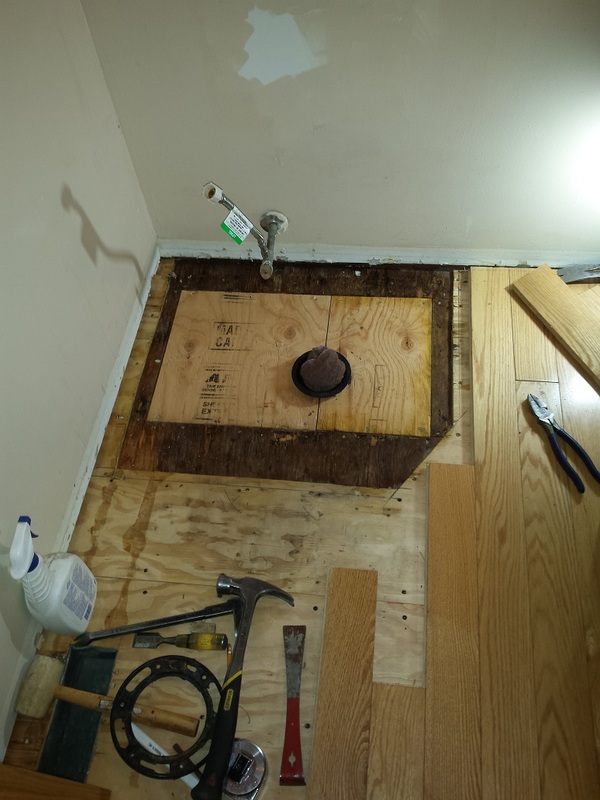 So we removed the toilet , took up the hardwood flooring and found the plywood subfloor wet, dark colored and soft in strength. So we replace all the damaged wood from the floor and installed new material, reinstalled the hardwood flooring and the baseboard & trim. 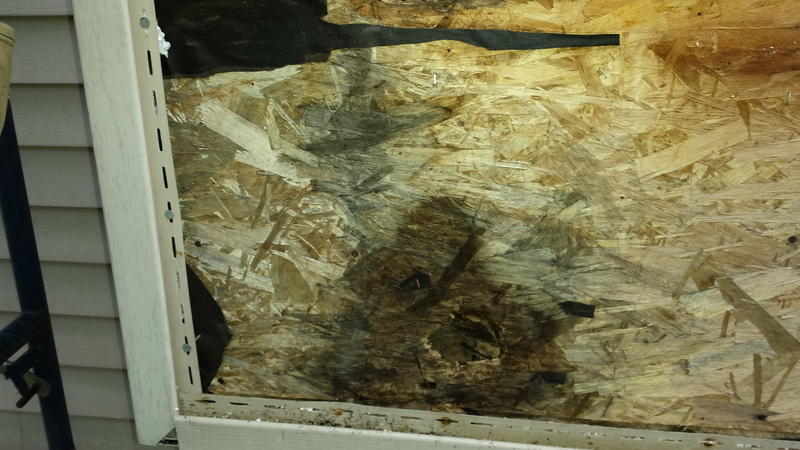 We were lucky there was no drywall repair or painting repairson this job. Supplied a new water supply line to the toilet and reinstalled it. Haven't had a problem with it since. 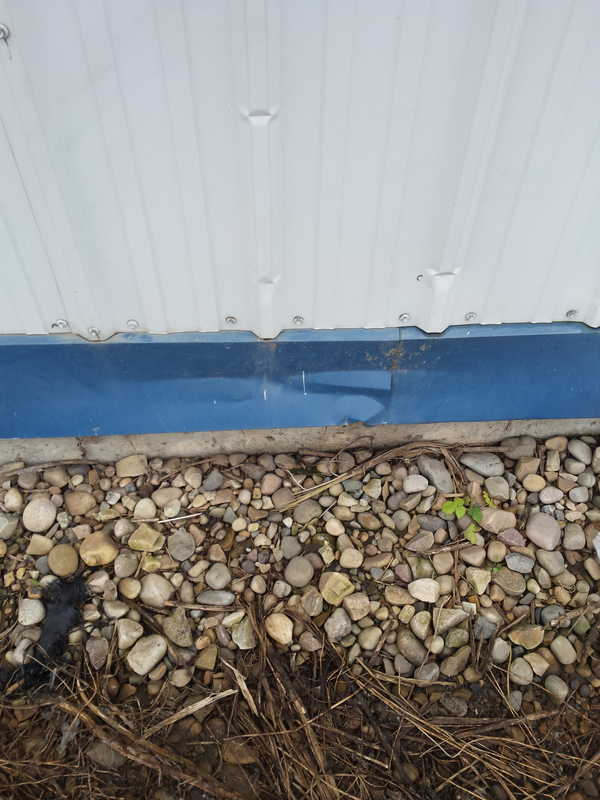 Upon receiving a call from this homeowner about the drywall tape coming off the wall, we found some of these issues in the pictures. And it was all over the guy that built the house, didn't know what he was doing. When the homeowner called us, they told us they called 3 other companies to come out to have a look at why they were having problems. Only 2 of them showed up and after seeing the problem, they told her they weren't interested in the job. When we took the job on, we set up an appointment to come and start the job at hand. We had a crew of 2 to 4 men there for about 2 to 3 months . 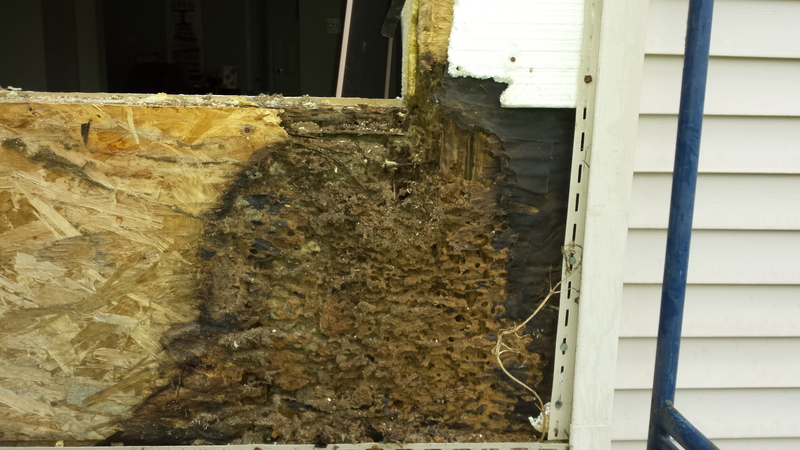 Seems like every piece of siding we took off the house there was rot and mildew and mold under it. 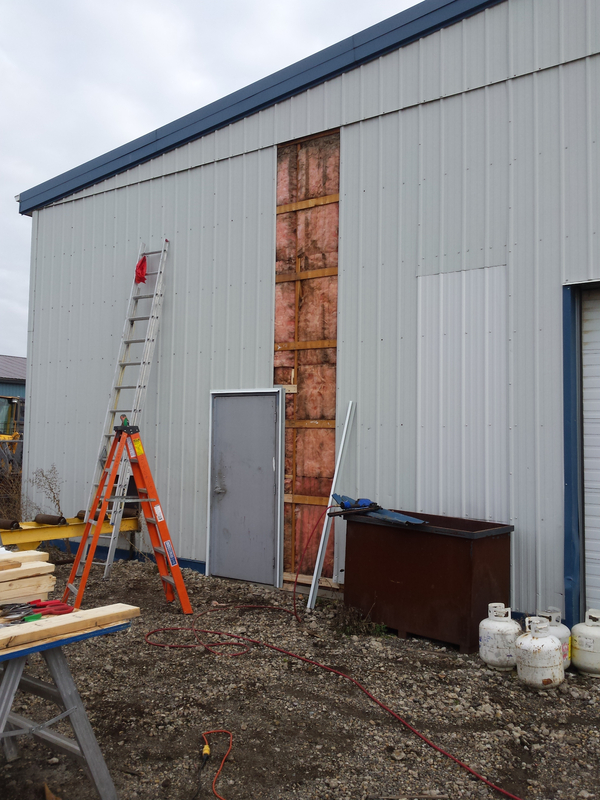 On this job we replaced the Framing in part of the roof and in parts of the walls. We replaced Baseboard & Trim, 1 Door, Window Trim, Vinyl Siding Repairs, some of the floor joist in the house, Drywall Repair, Ceiling, Ceramic Tile Flooring, some of the outside Insulation and Parging. 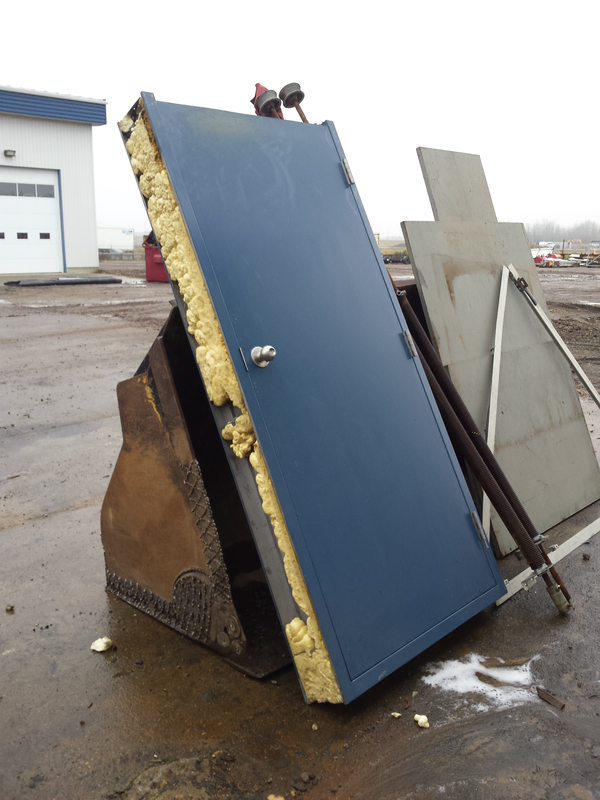 When we had it all taken apart, we called in a mould remediation company. 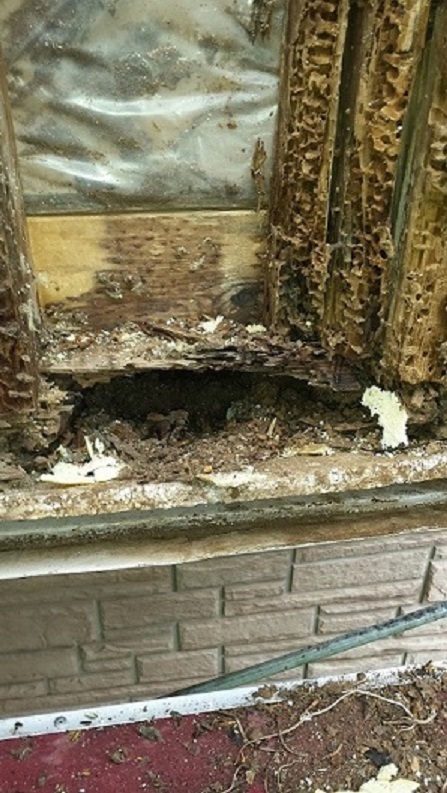 They took care of all the mold in the area and then they sprayed the whole house for the airborne particles and to freshen up the house from the mould smell. Upon putting it all back together for the people we also replaced the Window Trim, Baseboard. The job is now completed and they are very happy and glad that we took on the job because the other 3 companies didn't want to have anything to do with it. 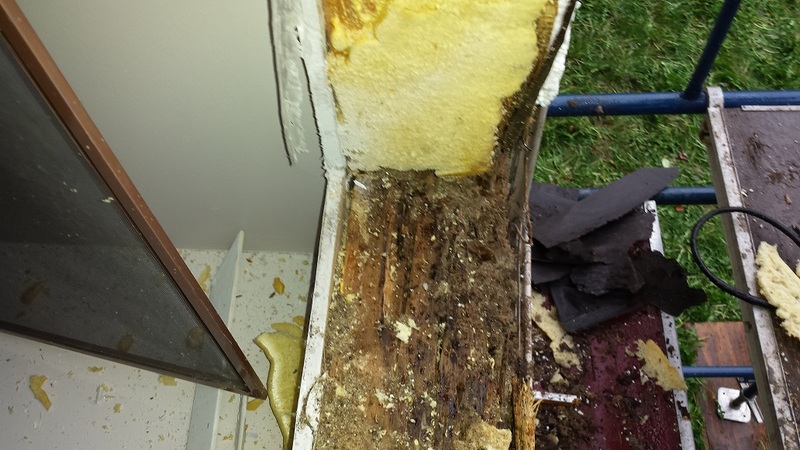 We were really glad that our client got their house fixed up. It's times like this I'm glad we could help.